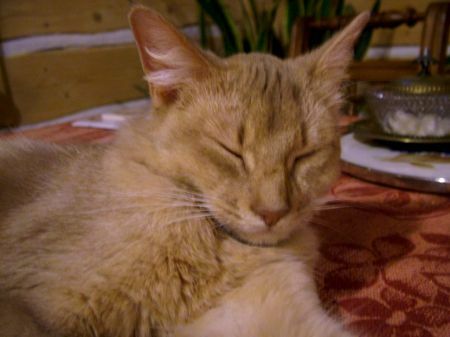 The Somali, with it gorgeous coat of many colors is a longhaired Abysinnian. 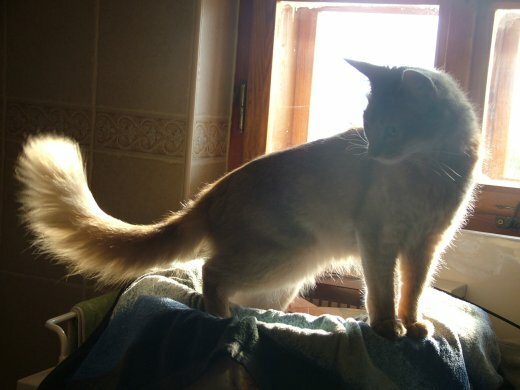 The Somali originated from the longhaired kittens in litters of Abyssinians who carried the gene for long hair. The Somali Cat Club of America was founded in 1972. The National Cat Fanciers' Association who is no longer in existence granted championship recognition not long after. All the United States cat associations accept the Somali for championship show. This cat is becoming very popular all over the world. The Somali has a medium long, graceful and well-muscled body. Large eyes are gold, hazel, or green. The legs are in proportion to the body. The coat is double with medium length fur. It has non-matting hair, which is very fine and thick. Daily brushing or combing is required to remove dead hair. The color varieties for the Somali are red, ruddy, blue and fawn. The hair is completely ticked except on it's underside but until the cat is at least 18 months old will it be completely developed. The Somali is a playful cat who is outgoing and loves his human companions. He likes to be outdoors and shouldn't always be confined.